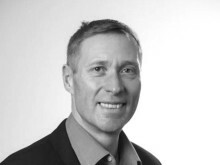 On the eve of The Ashes, Dr Paul Davis, Senior Lecturer and Research Lead for Sport Coaching and Psychology at Northumbria University writes for The Conversation on how cricketers ‘sledge’ to get under the skin of opposing teams. 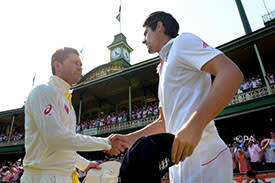 Once again the Ashes are upon us – and once again the focus is on the on-field relations between the two teams. After a superbly exciting (and all-too short) early season tour by Brendan McCullum’s New Zealand team, which thrilled packed crowds with aggressive, positive cricket played in a spirit of mutual respect, England is preparing to meet the “Old Enemy” – Australia. The early signs are that the old antagonism that has marked Ashes series over the years will not take long to bubble to the surface. It’s how we play our best and it’s a big part of the Australian way, but you also need to keep in mind that there is a line you can’t cross. Both teams might ‘headbutt’ that line but I am confident we will not overstep the mark, and that the series will be played in the right spirit. Both teams will play hard. Where, one is tempted to ask, does issuing a threat of deliberately inflicting physical injury on an opponent site – as Clarke did in the most recent Ashes series when he told England’s pace bowler James Anderson to “get ready for a broken f****** arm” – sit on that line? Sledging is a form of gamesmanship that usually takes the form of verbal exchanges between competitors (the equivalent to North American “trash talking”); it’s intended to distract opponents and present irrelevant cues that interfere with their concentration. Such verbal exchanges can get inside an opponent’s head and play with their emotions so that they can’t keep their focus on the next delivery. Put simply, it can put a player off their game. Of course, there is sledging and then there is sledging. The annals of cricket history are littered with lyrical exchanges that provide a shorthand for the competitive, almost gladiatorial relationship between two individuals representing two teams. Among the more famous sledges is the exchange between Australian Rod Marsh and England’s Ian Botham (known to be mates who would share a beer together). Marsh greeted Botham with a cheery quip: “So how’s your wife and my kids?” Botham replied: “Wife’s fine but the kids are retarded.” This was – remember – in a different era and sensitivities were not what they are now, particularly in the middle of a cricket pitch. 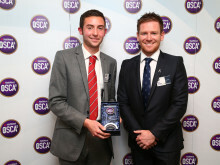 We recently interviewed a group of top-level cricketers from England’s county championship league as part of research exploring emotionally intense interactions between competitors: four top-order batsmen, six bowlers, a wicketkeeper and an all-rounder – roughly the make-up of a cricket XI with a 12th man thrown in. All the participating athletes were required to have at least two years playing experience at the elite (professional) level to allow them to have played in a significant number of competitive matches and as a result to have experienced a range of emotion-inducing interactions with competitors. The athletes participating in the study were from a range of countries including Australia, South Africa, Trinidad and Tobago and the UK. They were interviewed individually at their training ground and the questions were grouped into sections exploring general emotions experienced in cricket, specific situations in which sledging and emotional interactions with competitors occurred, and their perspective on the utility of seldging as well as their responses to it. We analysed the interviews using the Linguistic Inquiry and Word Countsoftware which quantifies the use of specific words relating to sentence structure as well as cognitive processes and emotions. Sledging had a number of objectives; specifically, to disrupt concentration and induce anxiety through intimidation. As a bowler, if you see a guy that is in form and in a routine you almost want to say more, to then to try and upset their rhythm … It’s all about trying to draw the batsmen outside of their own little bubble and give them something else to think about … to make them think about something differently. 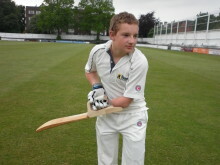 Alternatively, one batsman suggested that resisting the aggressive play with humour to demonstrate that it is not having the desired effect can also be an effective strategy to diffuse the situation: “I would just walk down and give him a smile or come back and give him a cheeky smile." 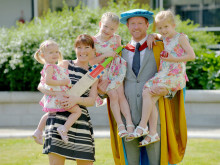 It was a family affair for Paul Collingwood when he received his honorary degree from Northumbria University today.